FOR YOUR CHURCH from The Good Book Company is a discount program that enables you to buy our resources in bulk on behalf of your local church with pricing that supports your ministry efforts and honors your church budget. 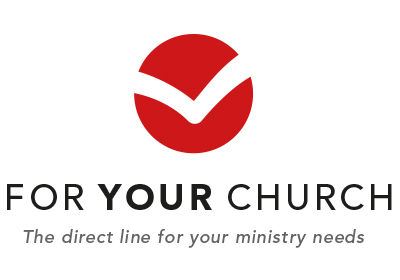 FOR YOUR CHURCH is intended to help local churches. Anyone who purchases on behalf of their local church, or who buys product for use in one of the ministries connected to their local church is welcome to join. You don’t have to buy regularly from The Good Book Company in order to be a member of the program. When you first sign up to FOR YOUR CHURCH, it can take up to one business day for your application to be processed. You will receive an email from us as soon as you have been approved. If you have an urgent need to gain access to your new FOR YOUR CHURCH benefits, please feel free to Contact Us and we will be happy to help you. How can I see who is already a member from my church? How do I add more people from my church? How do I get my FOR YOUR CHURCH discounts? Once you have signed up to FOR YOUR CHURCH, your discounts will be applied automatically to your basket wherever you are logged into thegoodbook.com. You will always get at least 40% off any products where you are ordering 10 or more at the same time. Where there is more than one discount available, you will receive the higher discount by default. FOR YOUR CHURCH members receive one monthly email with news about new products and offers, as well as exclusive content. We hope that these emails will support you in your ministry, alerting you to helpful resources and providing relevant articles and offers. How can I change which emails I receive? You can also change your preferences about other emails from The Good Book Company under My Profile, or by clicking the unsubscribe links in the footer of any email you receive from us. Please remember, unsubscribing from all our emails will mean you miss out on the exclusive content and offers from the FOR YOUR CHURCH program.